A hot computer is a bad computer. Excess heat can cause malfunctions and crashes, and permanently damage your hardware. And although laptops generally put out less heat than desktops (energy efficiency is a higher design priority), they have their own unique problems. They’re rarely as well ventilated as a desktop, and much more difficult to clean. Keeping a laptop cool is all about ventilation. If the hot air can’t escape, you’re going to have a problem. And never, ever put your laptop in a bag unless it’s off, hybernated, or in sleep mode. You’ll rarely find vents at the bottom of a laptop, yet heat tends to accumulate there. 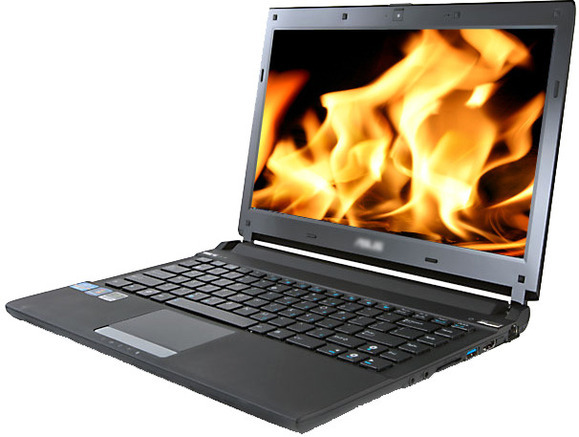 If the bottom is hot to the touch, consider buying a laptop cooler–a pad that goes under the laptop and whisks away the heat. Many of them have fans. Prices range from about 300 rs. to 700rs. I’m not going to recommend a particular model because I don’t use one. At least for my laptop, an empty but sturdy cardboard box is sufficient. If you let dust accumulate in a PC, you’re bound to have problems. And you’ll have to fix those problems with a good cleaning. Marco Chiappetta described the cleaning process in You’re a dirty, dirty, dusty PC. But he used a desktop, and desktop PCs are designed for easy user maintenance. Laptops are trickier. You can try using a can of compressed air (I bought one recently for $4) to blow the dust away from the vents. But that’s a very limited solution. The dust may get away from the vent, but it’s still inside the PC. Try this: Shut down the laptop and turn it over. Examine the bottom. You’ll likely find panels that can be removed with a small screwdriver. Open them up and see what you get access to. If you see dust, clean it away with compressed air. Unfortunately, the real dust problem may be in places that require a more complicated dismantling. If you feel comfortable taking apart a laptop, go ahead. Otherwise, you may want to take it to a professional.